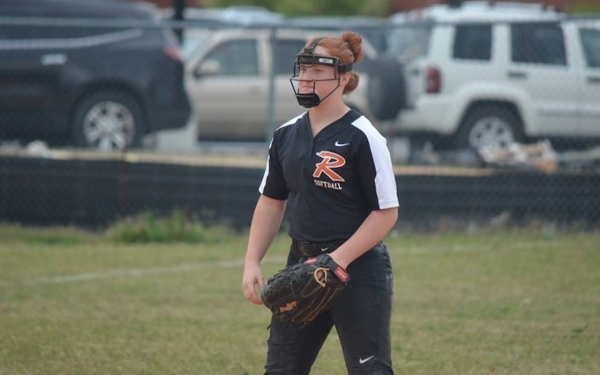 ROCKINGHAM — The Rockingham baseball and softball teams were able to beat the rain Monday afternoon, making them the only Richmond County teams in action along with opponent Cordova Middle School. 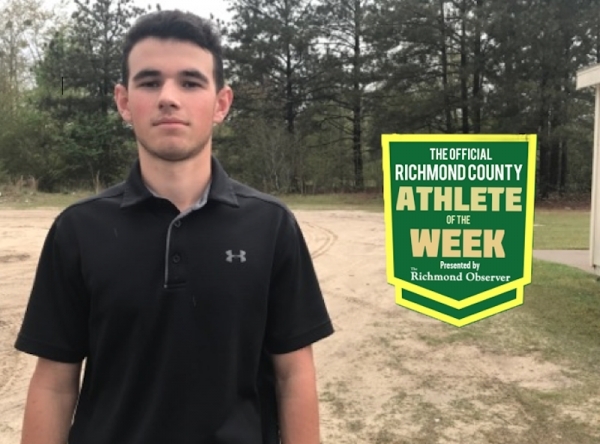 ROCKINGHAM — Jonathan Rich, a sophomore on the Richmond Senior High School golf team, has been named the Official Richmond County Male Athlete of the Week. 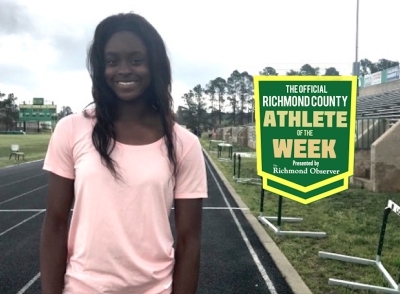 ROCKINGHAM — Jakerra Covington, a sophomore on the Richmond Senior High School track and field team, has been named the Official Richmond County Female Athlete of the Week. ROCKINGHAM — The spring sports teams at Richmond Senior High School can’t seem to catch a break from the wet weather, as all of Tuesday’s events have been postponed. 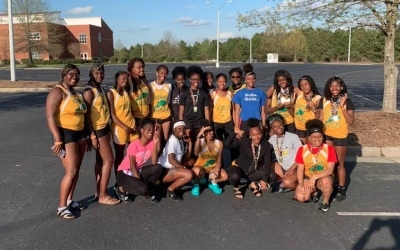 SANFORD — For the second weekend in a row, the Richmond Senior High School girls track and field team earned a runner-up finish behind Hugh M. Cummings High School. 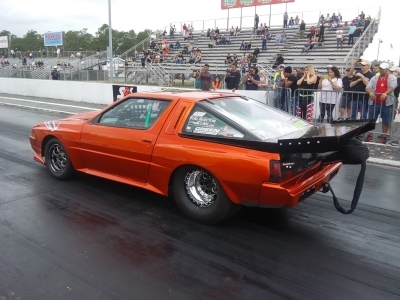 ROCKINGHAM — Thursday was a pretty good afternoon for Kevin Campos. 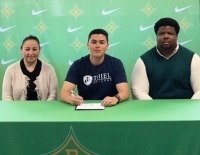 The Richmond Senior High School tennis player was recognized on senior day, just hours after he signed his commitment letter to continue playing in college. GREENSBORO — A 14-hit performance by the Richmond Senior High School baseball team helped the Raiders grab their ninth-straight win Saturday at Southeast Guilford High School. GREENSBORO — The Richmond Senior High School junior varsity baseball team extended its winning streak to four games Saturday, holding on to defeat a tough Southeast Guilford High School team. 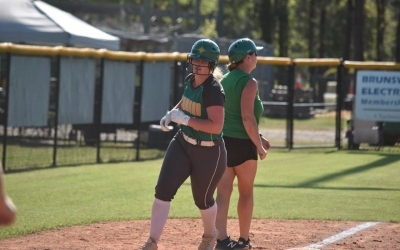 ROCKINGHAM — After a slow start to the season, the Richmond junior varsity softball team continued its turnaround this week by taking one of two games against Sandhills Athletic Conference opponent Lumberton High School. 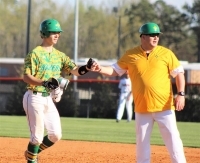 ROCKINGHAM — When the Lumberton High School junior varsity baseball team met the Richmond Raiders this week, they were undefeated in Sandhills Athletic Conference play. 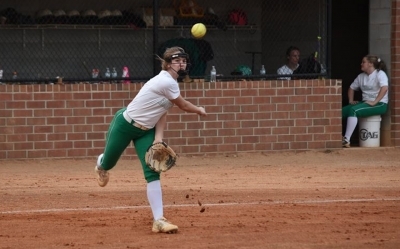 RICHMOND COUNTY — The Rockingham and Hamlet baseball teams, as well as the Hamlet softball team, finished the week with wins. RAEFORD — The Ellerbe Middle School baseball team added its third win of the season to its record Thursday, when it traveled to East Hoke Middle School.